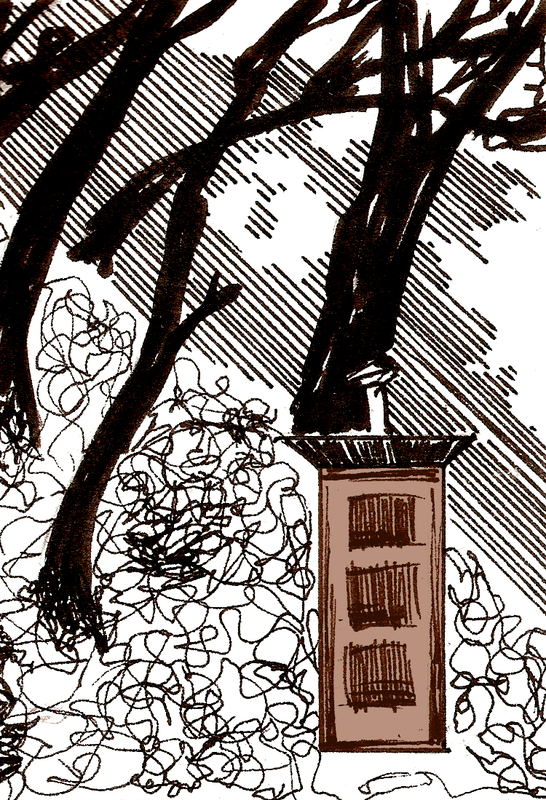 Consider the oft-maligned icon of cabin life: the outhouse. In the city, where folks relieve themselves into drinking water, it’s an unusual notion to head outside and settle oneself over a dark hole when nature calls. The pit privy, as it’s more accurately called, has a reputation among some for being a smelly, unsanitary, fly-infested polluter which is wholly unpleasant to use. However, with the right mindset the outhouse is a joy. Firstly, the door is meant to be open when the outhouse is in use. (Closed when not in use.) Imagine that your view when sitting on the pot is not four walls, but a green woods of Alder and Oak. There is sky. Light and breeze swirl about you. When finished, no precious water has been fouled. “Flush” with a generous covering of sawdust or leaves kept handy in a pail. This very important practice ensures there is enough carbon to feed thermophilic bacteria and keeps things from being too wet. It also forms a bio-filter which virtually eliminates odor and prevents flies from being attracted. Composting occurs continuously, and the heat of the mixture will head upwards of 150 degrees F sterilizing pathogens–also: frontier toilet-seat warmer. A properly composting hole actively shrinks its contents, though eventually will fill up. When the hole is full, dig a new one and drag the outhouse over it with your mule or tractor. In about two years, the compost will become nutrient-rich soil. As for the interior, keep it clean and feel free to decorate. Fresh flowers, books, a mirror and cabinetry to stow toilet paper make it more comfortable than a bachelor apartment.